When I first started this blog I mentioned I hadn’t written much in the past 20 years. Since my heart attack last fall, I decided I would take a journey and rediscover myself through my love of writing and joy of music… As a result TheBluesBlogger was born and I had a canvas to work with. I always wanted to do an article featuring Gino Vannelli. His story, as you will see, is an interesting addition to this site… From the very beginning of his career, I enjoyed listening to his music. 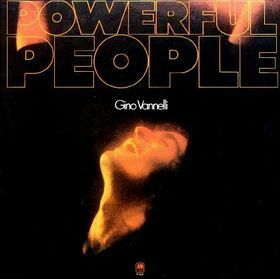 Some of Gino’s songs throughout many of his albums and the level of musicianship involved was remarkable … I have an enormous respect for Mr. Vannelli. Before I started to write this piece, I kept on thinking about a previous article I did on Vannelli over 17 years ago. I called this the “lost article” as I have searched unsuccessfully for it. A few days ago my wife TBBW came into the den with a playful grin holding something behind her back. Making me close my eyes, she then told me to open them as she held the missing article in front of me. I was a bit surprised as it has been well over 10 years since I’ve last seen it. As I went to reach for it, she pulled it away… “A night of fine dining and good lovin,” she said. Reminding me of the promise I made if she ever found it. It was to be a home cooked meal with no kid too! Boy I had my work really cut out for me. Was it going to be worth it? Well I guess we will see. Reading through my article after all that time passed, got me even more intrigued to do something else for this very talented artist. Times sure have changed since then. Especially the way we deliver information. I no longer require a publisher to have my work read and I enjoy the freedom to express myself and the process tremendously. was born in Montreal Canada in 1952. Vannelli developed a love for music at an early age. His father was a jazz musician and it helped inspire Gino who went on to study drums and music theory at McGill University… He gained further influence through jazz drummers such as Ed Thigpen, Joe Morello, Gene Krupa and Elvin Jones. Vannelli formed his first band at the age of 12 called The Cobras. This band featured his brother Joe on keyboards and it set the stage for Gino to further develop his guitar playing and singing. It would also mark the beginning of a unique and innovative partnership with his brother. At 14 Vannelli love for classical music grew, and he would attend The Montreal Symphony concerts regularly. At 17 Gino picked up his first record deal with RCA Canada. Shortly afterwards he moved to Los Angeles with Joe in search of a U.S. record deal. The Vannelli brothers had a difficult time getting any real commitments, as their music appeared to go beyond the safe mainstream territory that was so popular in the seventies. Feeling his time was running out in L.A. and with a move back home beckoning, he tried something a little crazy … He would hang out in front of A&M studios and wait for then head Herb Albert to appear. When Gino spotted him in the parking lot of the studio, he ran past security and asked Herb for an audition. Instead of being apprehensive, Albert got interested and granted Vannelli his wish. As somebody who listened to a lot of music growing up, I welcomed the innovative style when listening to the Gino’s early stuff. The keyboard work of Joe Vannelli was astounding to me. I must admit I digged the whole Vannelli scene. Yes … Gino had that Saturday night fever v-neck white jump suit look, but those were the times, man. The chicks also dug it! As a fan of the music itself, you needed to look beyond just the hair, dance kicks and hips. If you couldn’t, you really missed out on something. He always had great musicians playing with him! Guys like drummers Mark Craney, Casey Scheurell and Enzo Tedesco. Guitar players Carlos Rios and Mike Miller and the list goes on … Gino not only has charisma, he has more talent than a lot people ever gave him credit for. Throughout his career, he created a decent sized fan base and a huge following in both Europe and Canada that still exists until today. out of the blue, I was called by a friend who was an entertainment editor. He asked if I would consider writing an article on Gino Vannelli for one of his magazines. 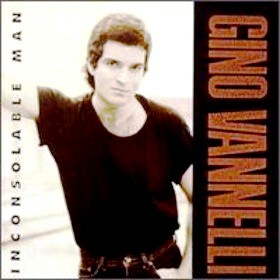 At the time, Vannelli just came out with the album Inconsolable Man, three and a half years after his previous album Big Dreamers Never Sleep. It was also going to be his first live tour in 12 years. I recall starting my gig at the recording studio the same year that Gino’s successful 1978 album Brother to Brother was released. Coincidentally, I ended up meeting and working with several of Vannelli’s road people at the time. It marks a very interesting chapter in my life. I guess those guys thought I was cool because they were always trying to drag me out of the studio and onto the road with their current projects. I agreed to do the article because it was a change of pace from what I was doing in 1991. And I felt that perhaps I could put something interesting together. I remember truly trying to do the best job I could and I really enjoyed the whole experience. My biggest challenge was overcoming my inexperience of the telephone interview. I’m terrible on the phone and much preferred to discuss matters in person. Unfortunately this is not always possible. After the article was published, Gino requested to meet with me and we got together one night… And he gave me one of the greatest compliments I ever received; a positive endorsement for my writing style. He also said I had a gift that should be explored and I should go after it and see where it took me … We discussed a bit about our studio days and life in general. And then we both set out on our desired paths. I never forgot our meeting and his words of encouragement. How ironic that it became one of the last writing gigs I have done until recently. I didn’t want to give too much biographical information in Part 1 because I decided I’m going to turn the clock back to 1991 and give my readers of this blog the opportunity to view that Vannelli article. In Part 2 of Moment to Moment, I will take you on journey back 17 years to a musical flashback with TheBluesBlogger and the great Gino Vannelli … And I will also keep you posted on my special night with TBBW. Not too much personal information of course, but perhaps the food portion of the evening. Any ideas on what I should be cooking? I really could use your suggestions! You’re very welcome … It is very telling … Gino is a serious and solid talent. I may get a few funny gestures with my blues fans, however this is a reflective blues and jazz blog and it’s certainly an important article for me. I hope others will enjoy this too. Thanks for the comments! I so appreciated reading your piece. I’m a longtime Gino fan and the more I read about him/hear his music, the greater my appreciation grows. Looking forward to part 2! And I pray that you will continue to recover, to grow strong and continue a long and healthy existence.